Prominent & Leading Service Provider from New Delhi, we offer import custom clearance and imports and exports services. 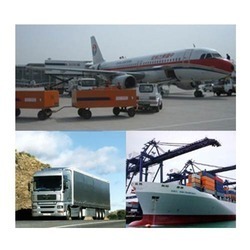 We are one of the renowned names of the industry that involve in offering Import Custom Clearance services. Proffered services include all documentation, procedure or compliances, physical examination, handling & delivery and transportation up to the importer's final location. Widely desired in the industry, our services are extremely reliable and budget friendly. ARC Worldwide (p).ltd. is a trusted name in the market that engages in proffering services of Imports and Exports Services. The offered services are conducted by a team of experienced and knowledgeable professionals who hold vast knowledge about export and import laws & guidelines. Our services are known for their cost-effectiveness and reliability. Looking for Imports and Exports Services ?